We held our first Australian community event in Sydney on Thursday night, and we're still recovering buzzing from it. 24 readers played a (relatively laidback) 6v6 Team Fortress 2 tournament, with prizes going to the first and second place teams, as well as the player with the most points on the night. Red and green teams got first and second place respectively, but let's face it: the tournament was just an excuse to have some drinks and pizza. 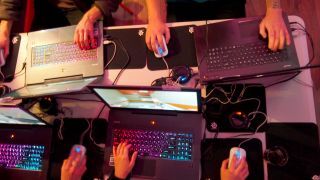 Attendees lucky (or skilled) enough to go home with a prize took the SteelSeries Apex M800 keyboard, a Plantronics Rig Surround headset, as well as other stuff by AMD, Kingston, Western Digital and more. Thanks again to those who came along, and keep an eye out for more events in the near future. Thanks to MSI for the laptops, too!